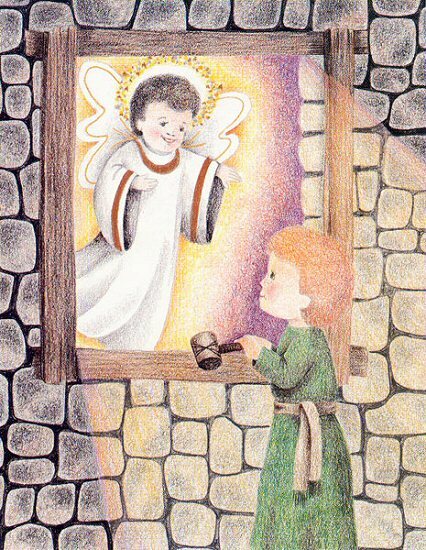 This The Story of Christmas personalized children's book teaches your child that amongst the wonderful holiday traditions, one fact is certain: Jesus is the reason for the season. 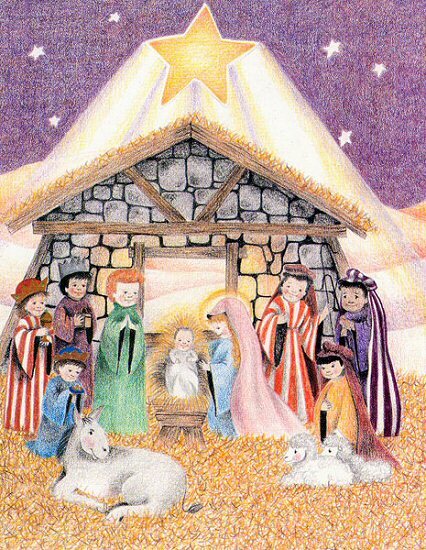 A children's Christmas pageant is used as a contemporary link to the historical message of the birth of the Christ-child. 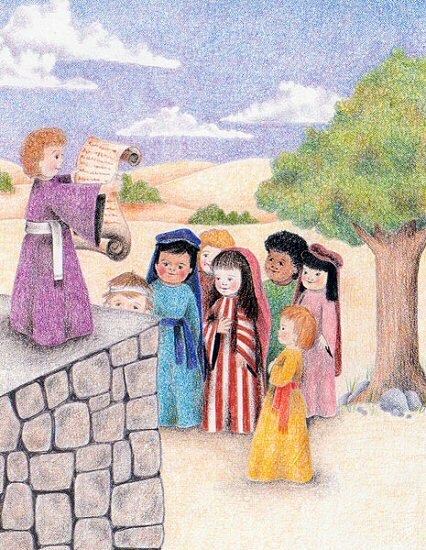 Taken directly from the Bible, your child learns about how Joseph and Mary traveled to Bethlehem to register under orders from Emperor Augustus and the birth of Baby Jesus. Christmas is a wonderful time of year, isn't it, (Child)? It is a time of giving! Will you be giving gifts to (Friends) this Christmas? Maybe you will even leave (Hometown) this Christmas to visit family or friends in another town! (Child), do you know why we give gifts at Christmas? It is because God gave us His very best gift. The Bible says that God loved us so much that He gave His only Son, Jesus. When we put our trust in Jesus as our Savior, the Bible says God gives us the gift of eternal life. That is the best Christmas gift of all! 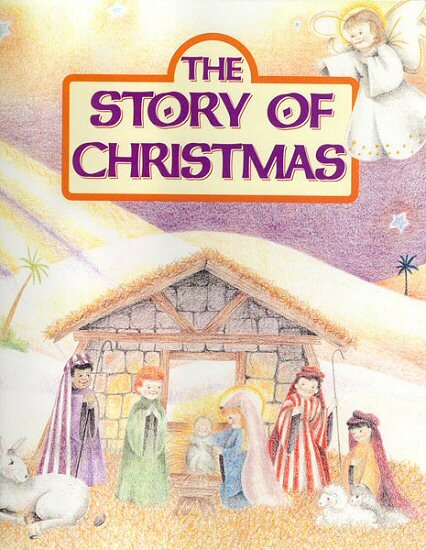 (Child), the story of Christmas is really the story of the birth of Jesus. And what a wonderful story it is! We see angels, shepherds and wise men! We see Mary and Joseph and most important of all, Baby Jesus in the manger! This is what we should think about, (Child), when we hear the word Christmas. 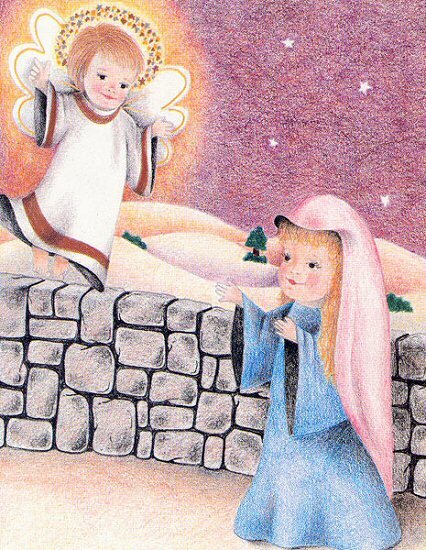 It all began when one of God's mighty angels, named Gabriel, visited a young woman in a town called Nazareth. The young woman's name was Mary. 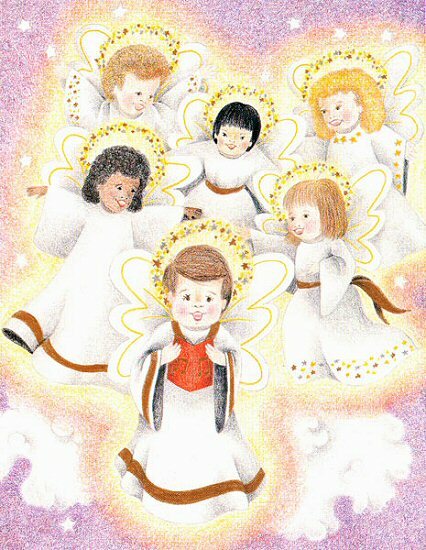 God sent His angel Gabriel to Mary with a very important message, (Child). Gabriel told Mary that she was going to have a baby! Confused by this message, Mary asked how this could happen since she wasn't married yet. Gabriel said: "The Holy Spirit will come upon you, and the power of the Most High will overshadow you; therefore the child to be born will be holy; he will be called Son of God." (Luke 1:35) Mary was amazed, but said, "Here am I, the servant of the Lord; let it be with me according to your word." (Luke 1:38) Then the angel left. (Child), how would you feel if you had a visit from Gabriel as Mary did? What if God sent an angel to (Hometown) to give you a message? God wasn't through using His angels though. Now Joseph, the man Mary was going to marry, had to be told. Joseph had found out that Mary was going to have a baby. He planned to break their engagement secretly. Just when he had decided to do this, an angel appreared to him in a dream. The angel had an important message for Joseph! (Child), the angel of the Lord told Joseph: "Joseph, son of David, do not be afraid to take Mary as your wife, for the child conceived in her is from the Holy Spirit. She will bear a son, and you are to name him Jesus, for He will save his people from their sins." 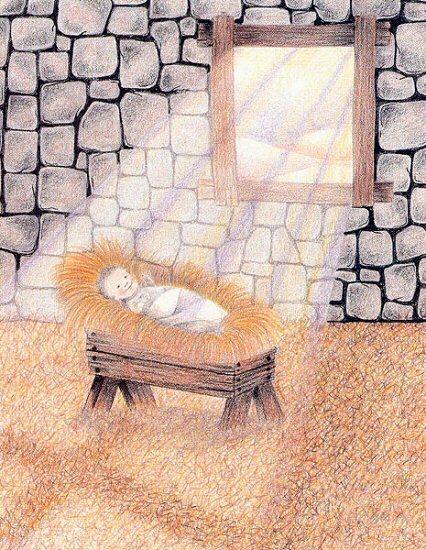 (Matthew 1:20b,21) Mary's baby was to be named Jesus which means "the Lord saves." God sent Jesus to save us! (Child), God sent Jesus to save you! 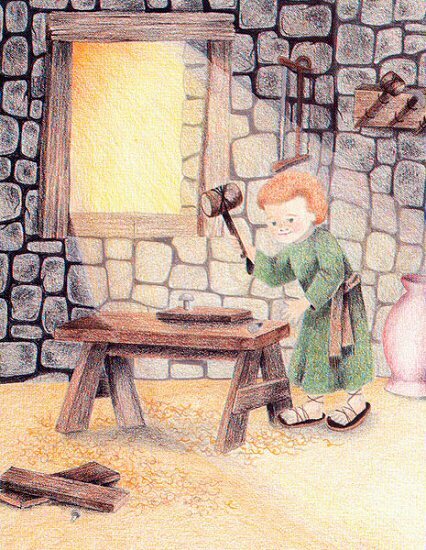 Joseph and Mary are good examples for us, (Child)! They obeyed what God told them to do. They also obeyed the laws of the land. The Emperor Augustus ordered everyone to register his or her name in the towns where he or she was born. That law meant that Joseph had to go to Bethlehem. 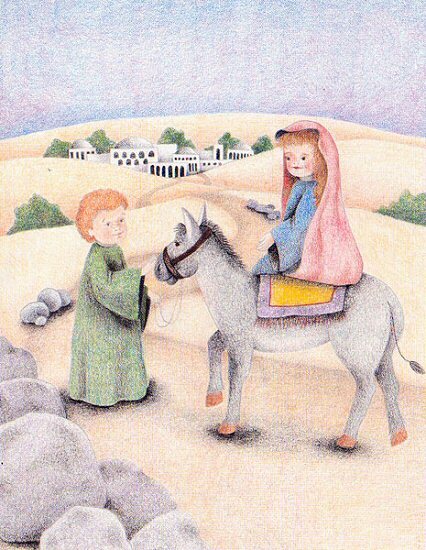 Joseph and Mary went on this long trip together.